Once your Admin allocates a license to you, you will need to install the chrome extension. 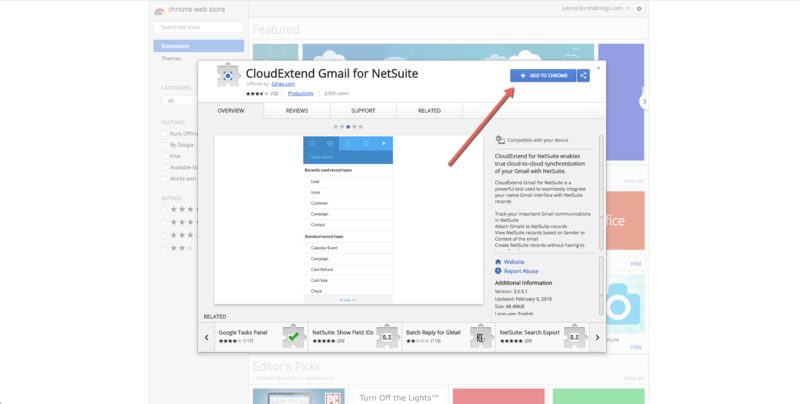 Step 1: Go to the Google Chrome store and search for CloudExtend and click + ADD TO CHROME. Step 3: Go to Gmail and sign in with your NetSuite Credentials. NOTE: NetSuite needs to be opened in another tab and connected to the same role you are connecting to with CloudExtend.